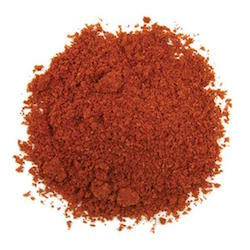 Tandoori Masala is an organic mix of spices originally created for authentic dishes cooked in a tandoor or traditional clay oven of the region. This zesty seasoning captures the ethnic flavor of northern India, Pakistan and Afghanistan. Directions: Marinate 1 lb meat with 1/2 cup plain yogurt, 1/4 cup vinegar, 2 tsp lime juice and 4 tsp seasoning. Cook as desired. Ingredients: organic paprika, cumin, coriander, garlic, ginger, cardamom.